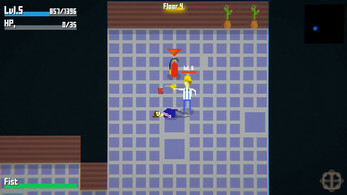 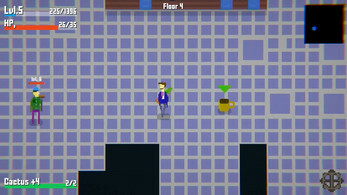 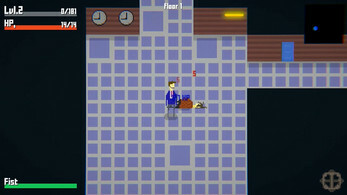 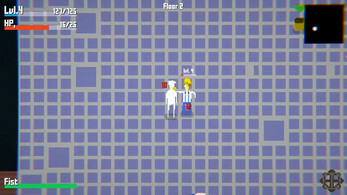 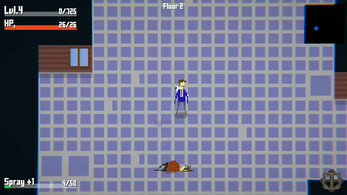 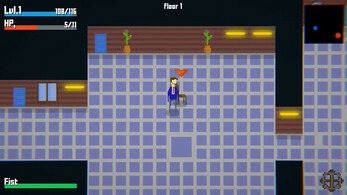 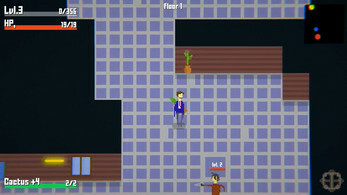 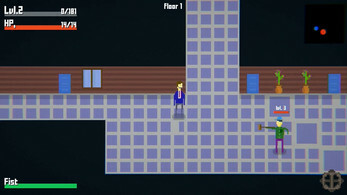 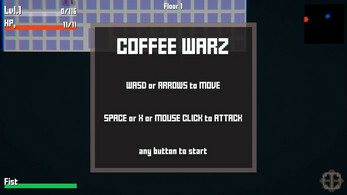 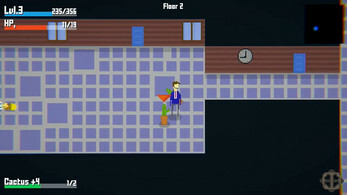 Coffee Warz takes place in an office building where a war broke out because of a shortage of coffee. 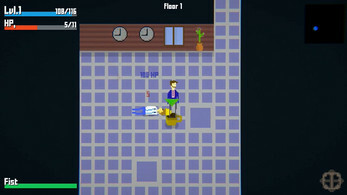 Take control of the business by taking out laid off personel, janitors and electricians. 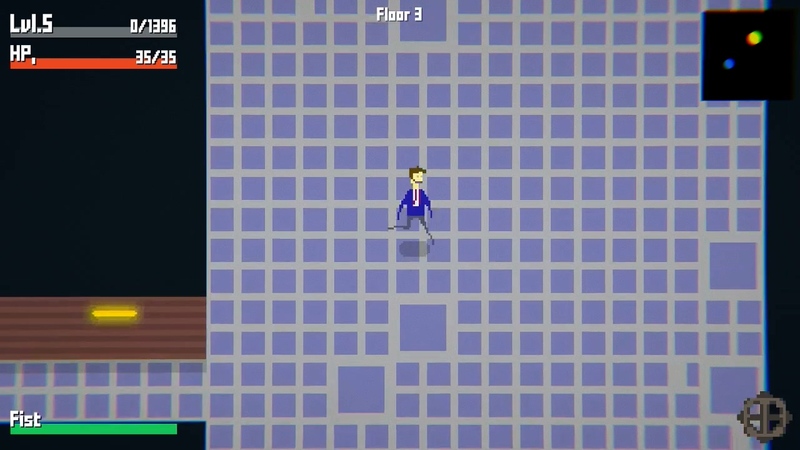 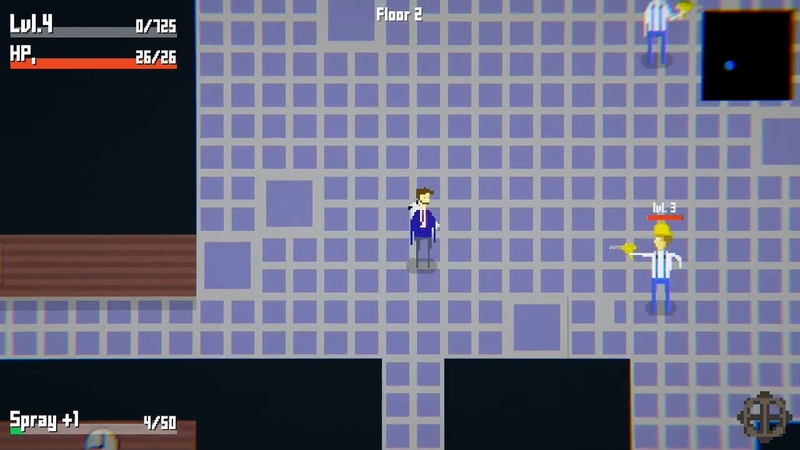 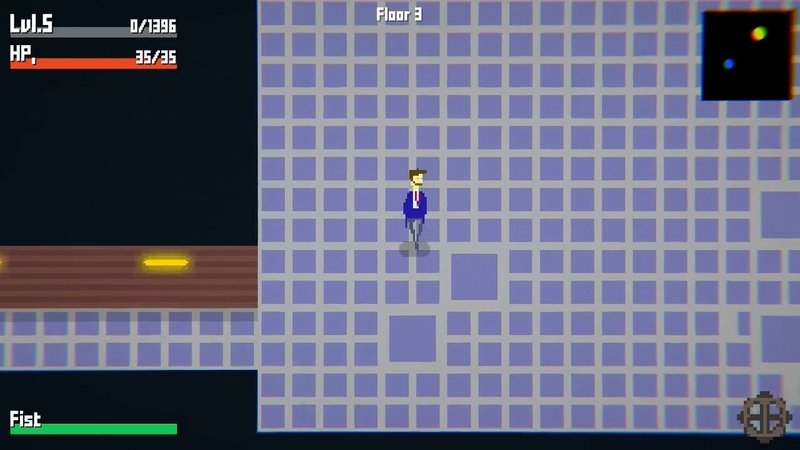 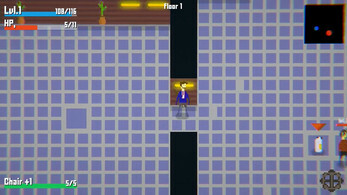 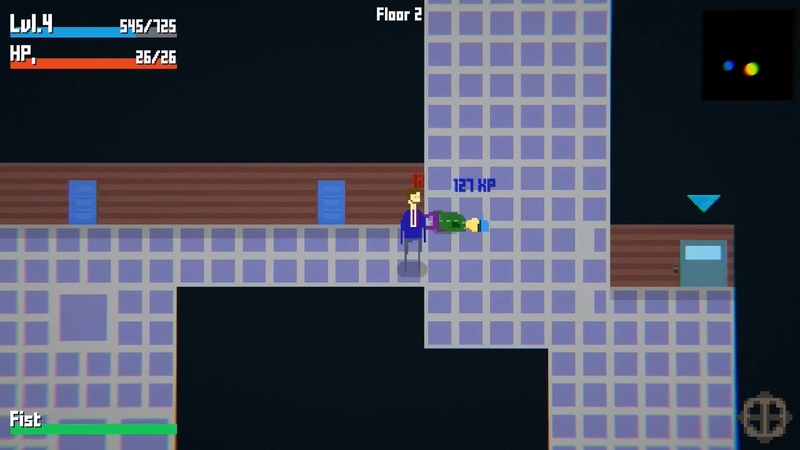 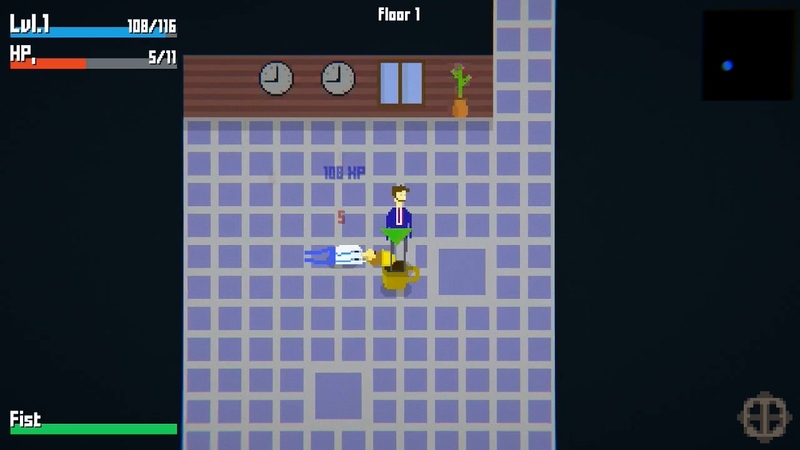 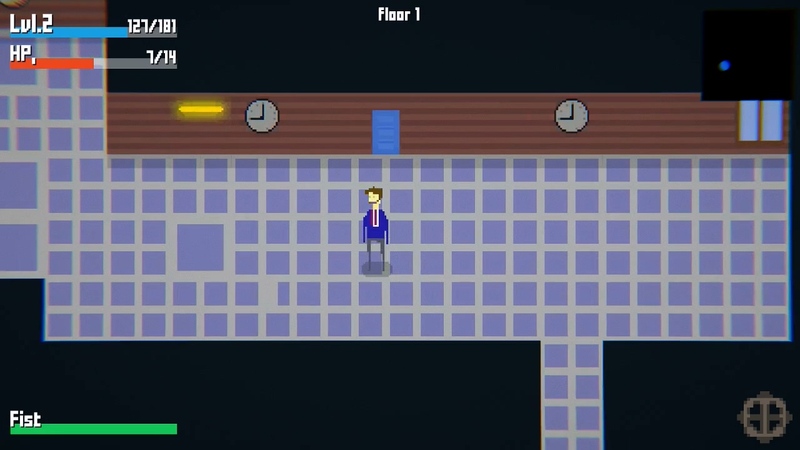 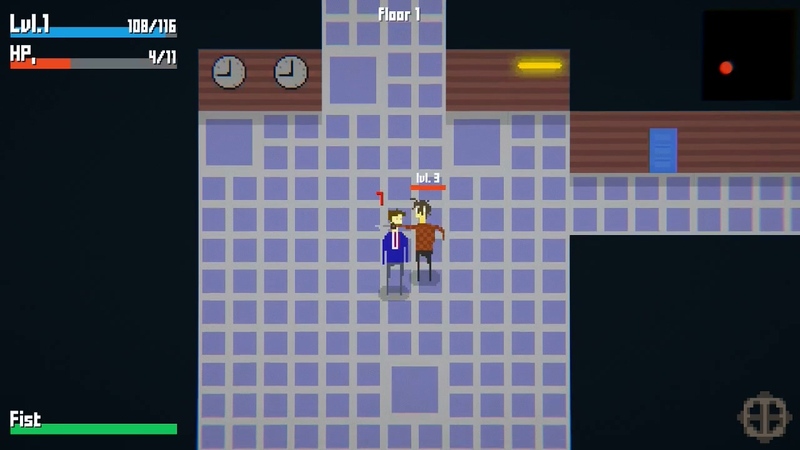 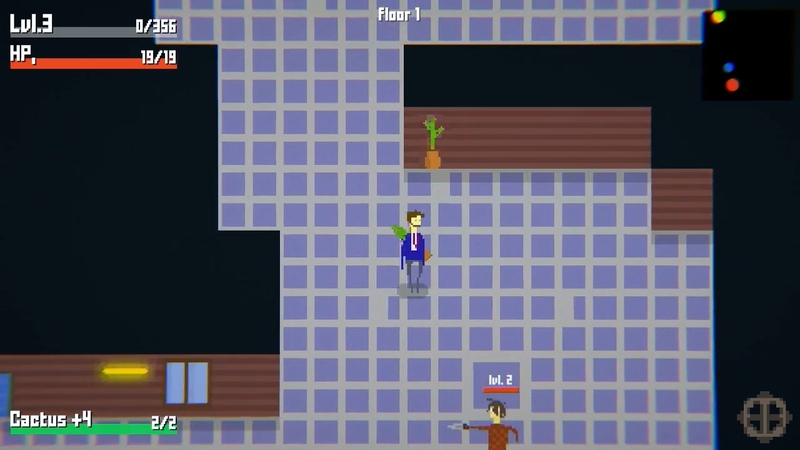 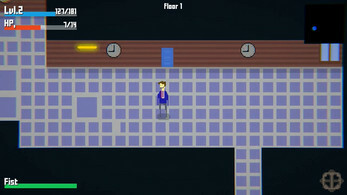 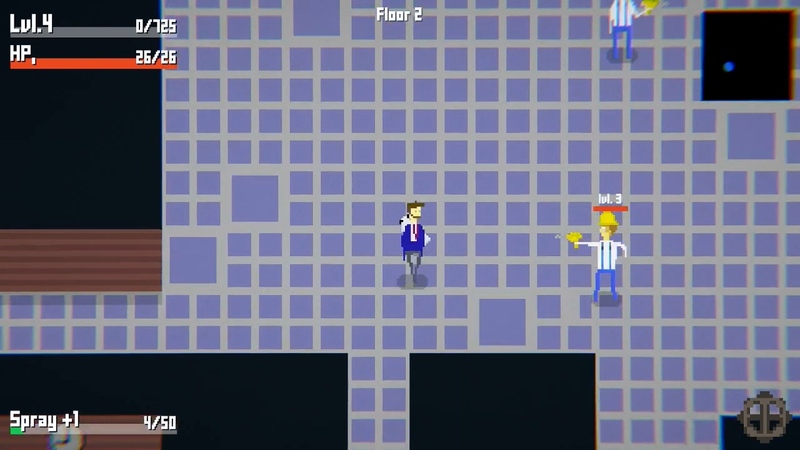 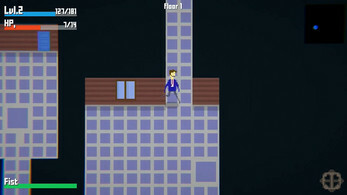 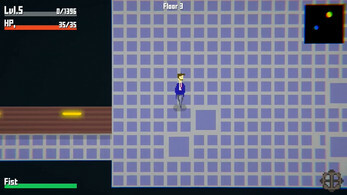 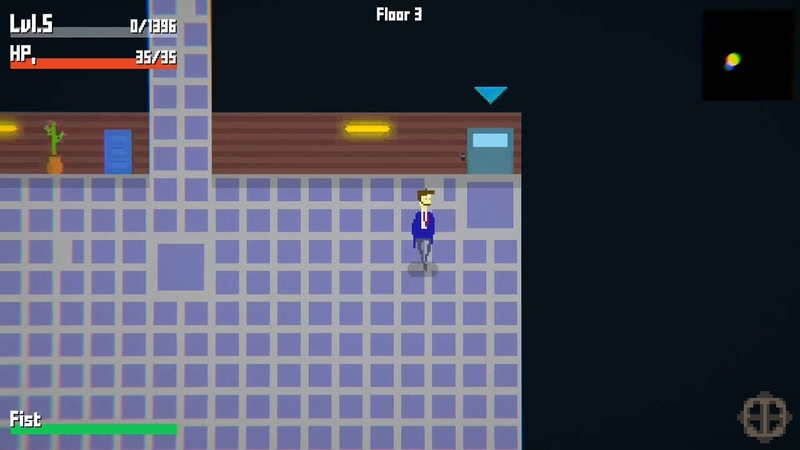 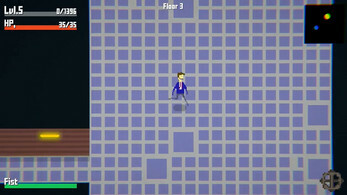 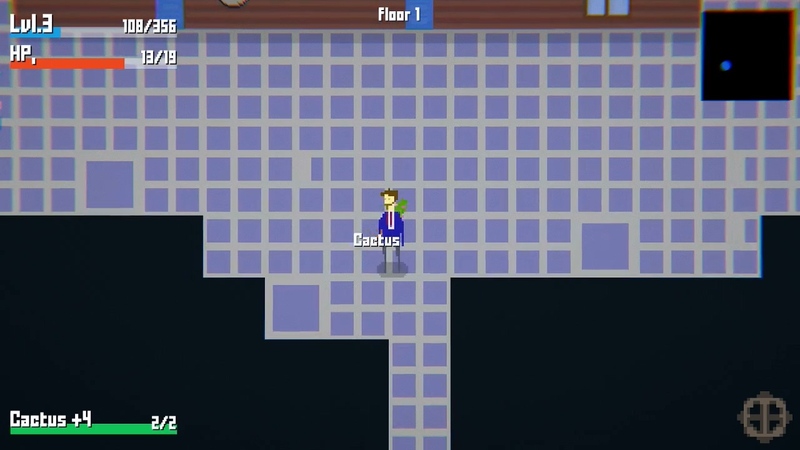 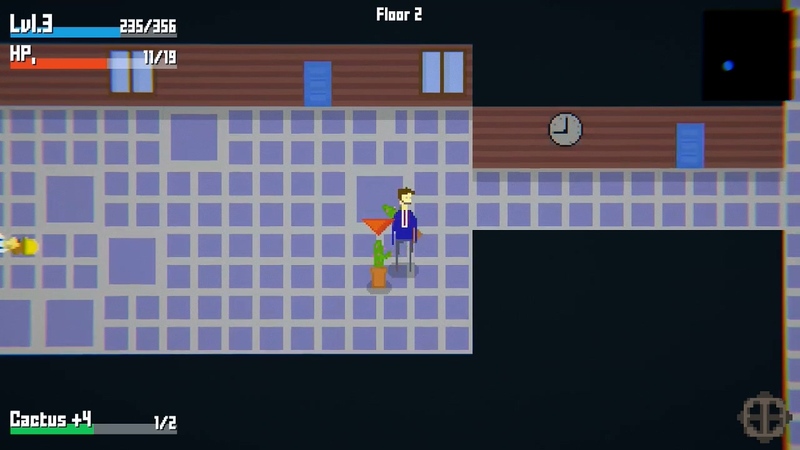 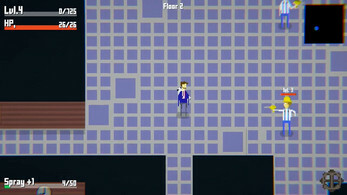 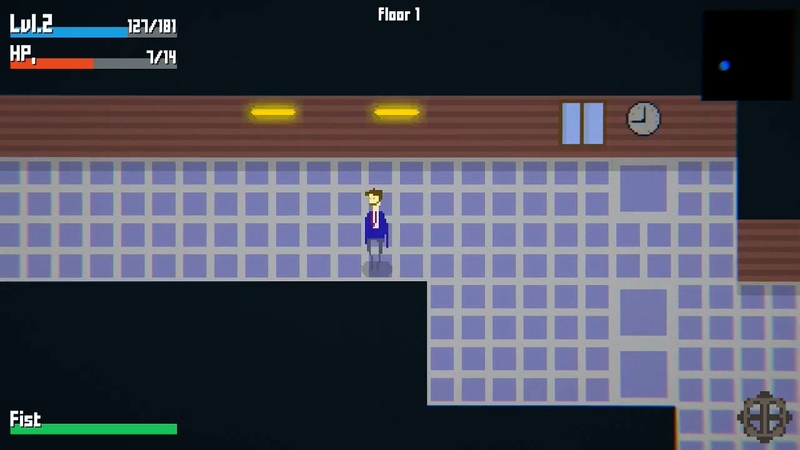 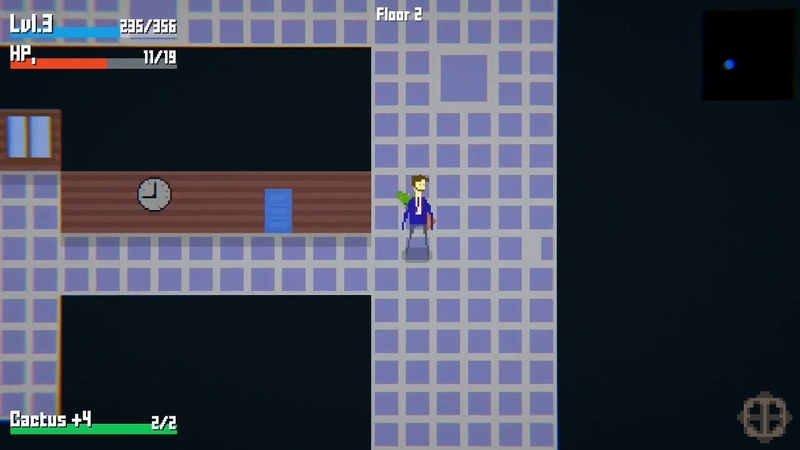 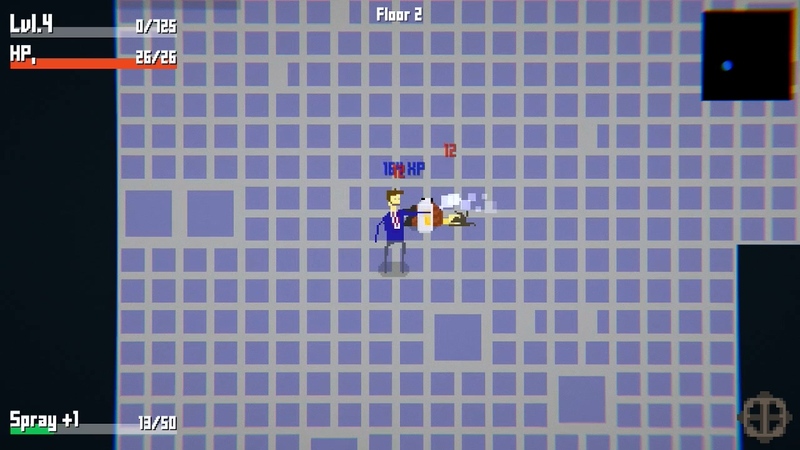 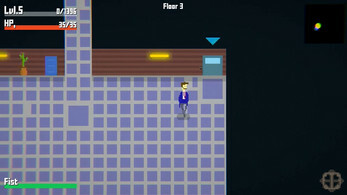 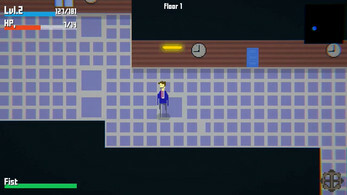 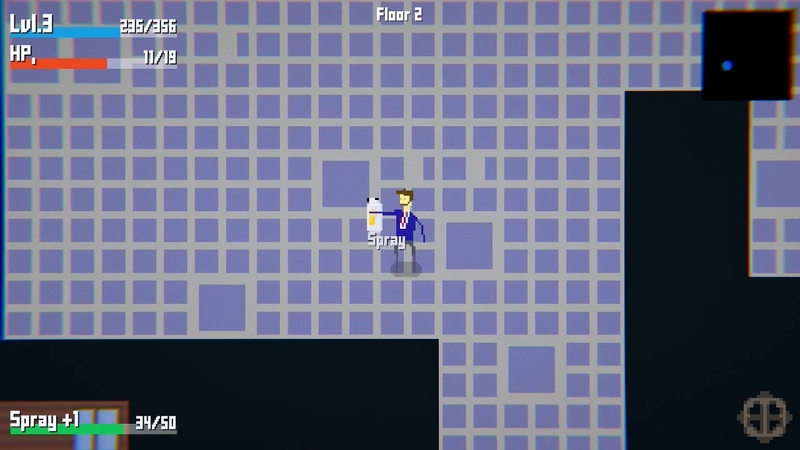 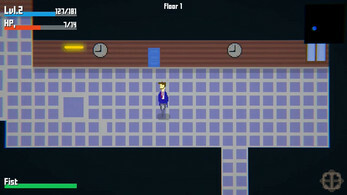 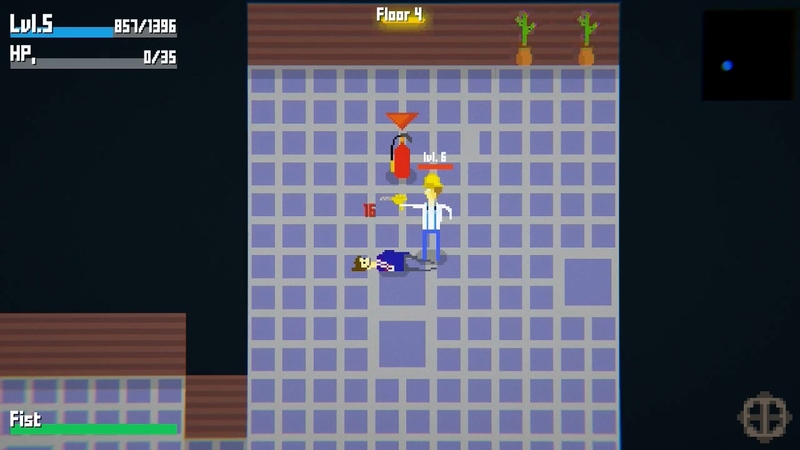 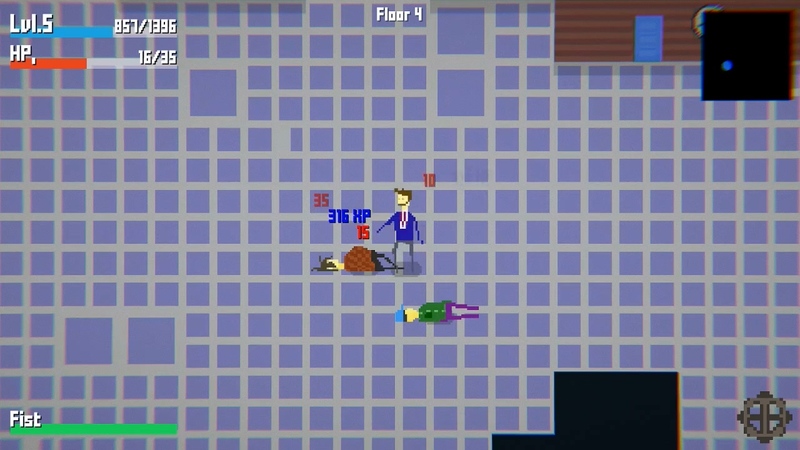 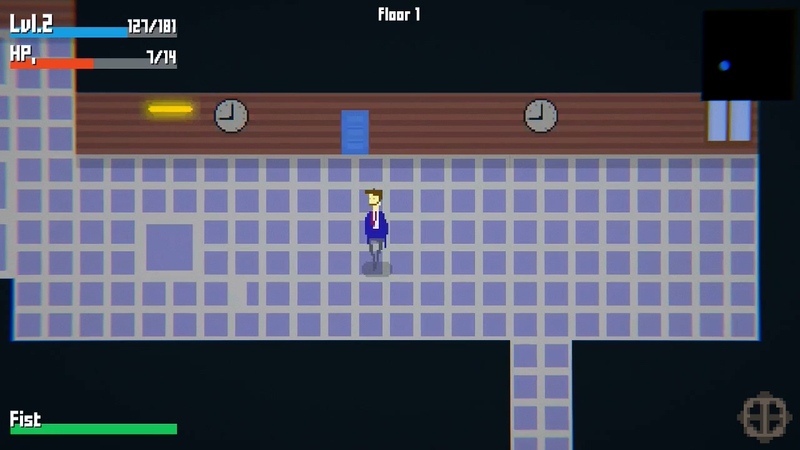 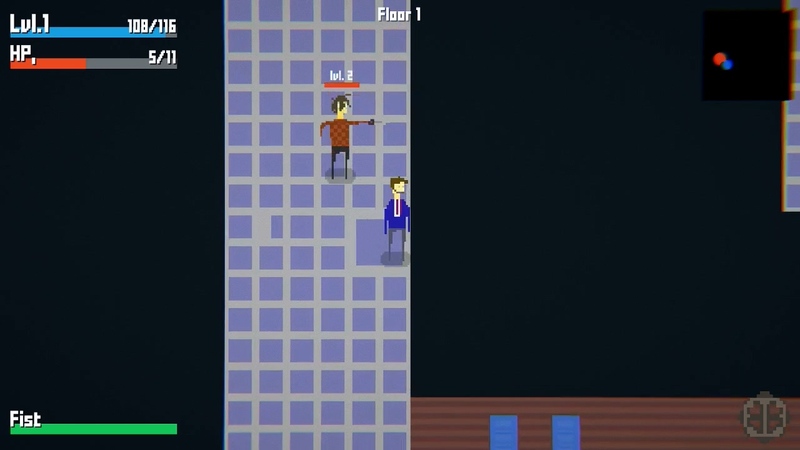 Each floor gets randomly generated. 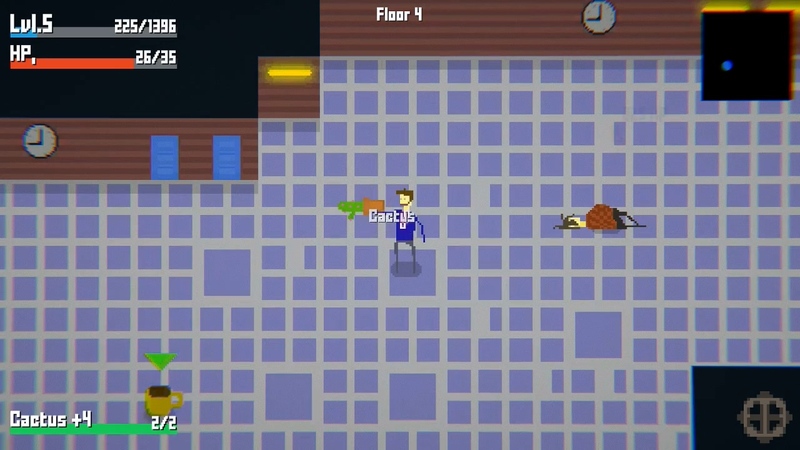 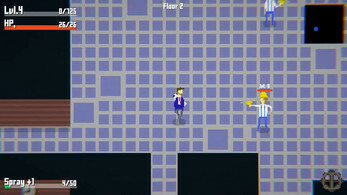 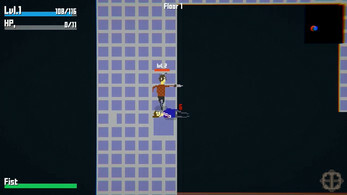 You level up by killing enemies. 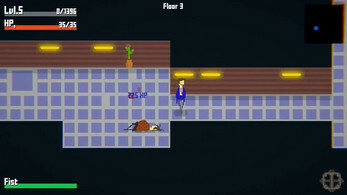 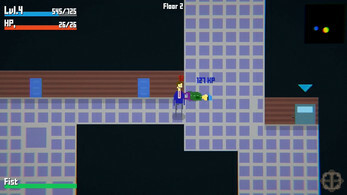 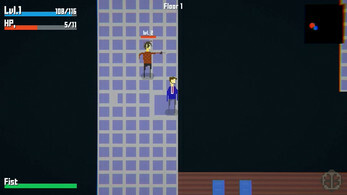 Try to clear a floor first before going up another level because enemies getting stronger too. I can't figure out any workable strategy for playing this game. 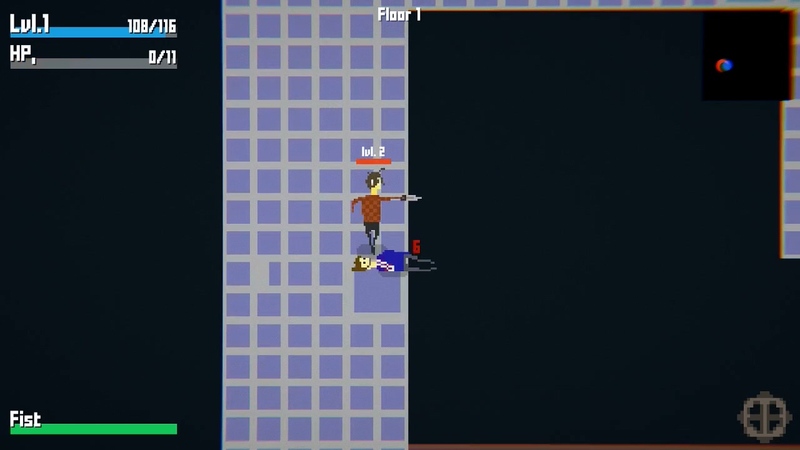 The weapons you find are too short range and the enemies deal so much damage that the only option is to outrun them. 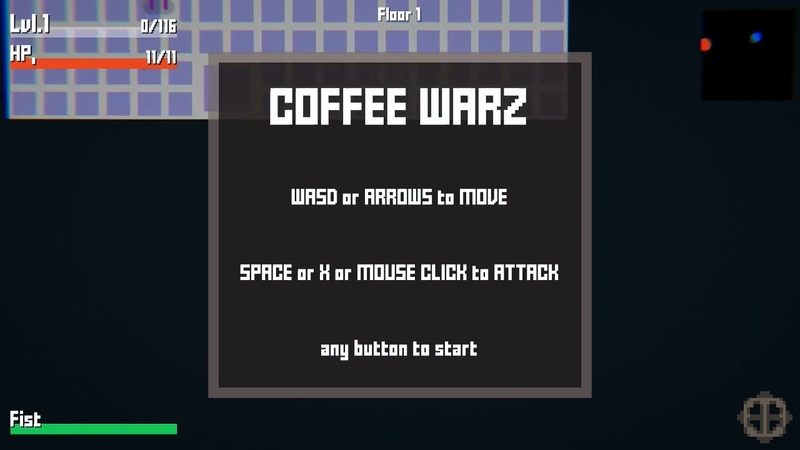 Plus, you can only fight them horizontally.